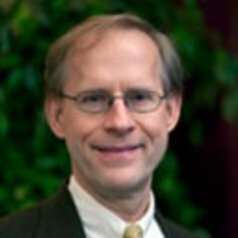 Timothy E Welty is Professor and Chair of Clinical Science in the College of Pharmacy and Health Sciences at Drake University. Previously, he was Professor of Pharmacy Practice at the University of Kansas, School of Pharmacy and Adjunct Professor in the Department of Neurology at the University of Kansas Medical Center. Dr Welty obtained his BS in Pharmacy from Butler University, completed a PharmD and research fellowship in neuropharmacology and pharmacokinetics at the University of Minnesota, and holds a Master of Arts from Trinity International University. He has served on the faculties of Samford University, the University of Alabama Birmingham, the University of Cincinnati, North Dakota State University, and Purdue University. In addition to his academic experience, Dr Welty has extensive experience in hospital and ambulatory pharmacy practice. An active practitioner, educator, and researcher in neuropharmacotherapy, Dr Welty has focused his research and practice in epilepsy. He has published multiple research articles and book chapters on epilepsy, antiepileptic drugs, neurology, and pharmacy practice. Internationally, he has been a visiting lecturer in China, Thailand, Japan, and Korea. He served on the Continuing Pharmacy Education Commission for the Accreditation Council on Pharmacy Education and is active in the American Epilepsy Society, American College of Clinical Pharmacy, Christian Pharmacists Fellowship International, and American Association of Colleges of Pharmacy.